ST. PETERSBURG, FL--(Marketwire - April 6, 2010) - Lenstec, Inc. -- a manufacturer of technologically-advanced implantable lenses -- today announced that the U.S. Food and Drug Administration has approved the company's Softec HD™ Intraocular Lens Implant (IOL) for treating patients with cataracts. About this company Lenstec, Inc. The Softec HD(TM) Intraocular Lens Implant (IOL) treats cataracts with unmatched precision and predictability. 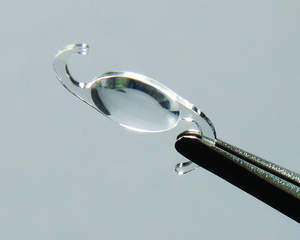 Already in widespread use internationally, the lens is now approved to treat patients in the U.S.